Ronald Wilder, 95, of Dwight, completed his life’s journey and was reunited with his wife, Rosemary, on Wednesday, March 20, 2019. Visitation will be held on Sunday, March 24, 2019, at Hager Memorial Home in Dwight from 2 to 5 PM. Mass of Christian Burial will be 10AM Monday March 25, 2019, at St. Patrick’s Catholic Church in Dwight. Burial will follow services at Mt. Olivet Cemetery in Dwight. Full military rites will be accorded by the Dwight American Legion Post 110 and the Dwight VFW Post 2608. Ron was born on December 2, 1923, a son of Isaac and Lottie (Corn) Wilder. He married Rosemary Majerchin on June 17, 1948. She passed away July 2, 2017. He was a man of his word, trusted in God, put family first, and was often called upon by many to give guidance and wisdom. He leaves behind a legacy of love which includes; 3 children, Pam (Bill) Manko of Arden Hills, MN, Randy Wilder of Hartsville, TN, Ronda Wilder of Bloomington; twin brother, Donald Wilder of Arizona; 5 grandchildren; 8 great grandchildren and many wonderful family members and friends too numerous to count. He was preceded in death by his wife of 69 years, brothers and sisters Olivia, Marjorie, Wanda, Downey and Brady. He proudly served in the United States Army Air Corps. He was a member of St. Patrick’s Catholic Church, the Dwight Country Club, the Knights of Columbus, the Dwight American Legion and the Dwight VFW. He enjoyed golfing and following his St. Louis Cardinals. 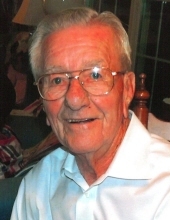 He was an insurance and real estate agent in the Dwight area for more than 70 years and worked right up until his passing. "Email Address" would like to share the life celebration of Ronald "Ron" Wilder. Click on the "link" to go to share a favorite memory or leave a condolence message for the family.